FORT JACKSON, SOUTH CAROLINA, UNITED STATES, January 30, 2019 /EINPresswire.com/ — Decorated Officer Fernando Guadalupe spent over twenty years serving in the US Army in many roles––both abroad and at home. Besides instructing and preparing hundreds of future Army leaders, Mr. Guadalupe spent years studying to become a subject matter expert on a handful of emerging topics. 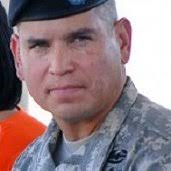 In his time with the Army, Fernando Guadalupe conducted numerous tours to Iraq and Afghanistan, both within groups and as a distinguished leader. From his over two decades of experience in the Army, he gained the education to train future leaders and build up the overall intelligence of his division. His knowledge comes from years of studying cultures and technology, and Fernando Guadalupe has published many of his findings in military technical journals for peers and fellow leaders to enhance their understanding of wartime issues. While serving, he assumed the roles of Commander, Colonel, and Operations Officer. In addition, he’s served as a lecturer where he could share his own discoveries with new generations of Army recruits. One of Fernando Guadalupe’s passions is staying ahead of technological trends and advances and studying how they can be used for the Army. Because of this, he scouted new channels and researched emerging tactics and tech such as newer, improved helicopter systems. Mr. Guadalupe also studied the complex field of unmanned aircraft and their benefits in wartime and lectured on his findings as well as on potential future policies. His work covered tactical warfare, FAA regulations, procedures for unmanned aircraft, and other emerging topics. 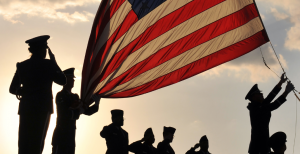 Because of this, he earned the title Unmanned Aircraft Systems (UAS) Operations Subject Matter Expert and ended up fielding the very first training UAS unit in the US Army. He’s proud to be one of only a handful of commanding officers who possess an in-depth understanding of tactical unmanned aircraft systems. One of the most researched subjects in Fernando Guadalupe’s career is the culture and the geography of Central and South American areas. Through years of observance and thorough research, Mr. Guadalupe ensured that his work would go on to improve the entire Army’s understanding of these geopolitical subjects. When future recruits cross into these dozens of areas, it will be his research that minimizes threats and reinforces their comprehension. In addition to his other studies, Fernando Guadalupe wanted to improve the lives of his comrades during service. He began to research sleep deprivation and the effects it had on soldiers during wartime, hoping to uncover methods of healthier sleeping patterns to enhance performance. His work will lead to greater research and development and to the improved mental and physical function of all Army recruits. Mr. Guadalupe has prepared many future soldiers during his impressive career with the US Army. His studies and his published works complement the fact that his is an integral leader who goes above and beyond what’s expected of his service.